THOUSANDS of deadly firearms and weapons - including a disturbing number of handguns - have been handed over to NSW Police in the state's latest gun amnesty. The three-month operation ended on September 30 and saw more than 8300 weapons turned in, including Smith and Wesson revolvers, .303 British rifles and even a cannon made of steel. Speaking to reporters at police headquarters this morning, Police Minister Troy Grant said the amnesty had provided a chance for residents to properly register firearms and for police to destroy weapons "no longer justified to be owned". Deputy Commissioner Jeff Loy said 2000 weapons would be destroyed and the remaining 6000 would be properly registered and added to databases overseen by authorities. However, Mr Loy admitted police had been taken aback at the number of handguns handed in, saying having these weapons on NSW streets ran the risk of them falling into the hands of those involved in organised crime. "What was concerning in some respects was the amount of handguns and revolvers that were handed in," he said. "There was about 130 handguns handed in, which is very concerning that they're out there in the community - but very pleasing that they were handed in (during) the amnesty. "We understand that organised crime will always go for firearms for their criminal acts. "But I think the community has shown a very strong conviction today to really ensure these 8300 firearms are really off the streets, so it is a very pleasing result." During the amnesty, NSW residents could hand in weapons without being prosecuted. 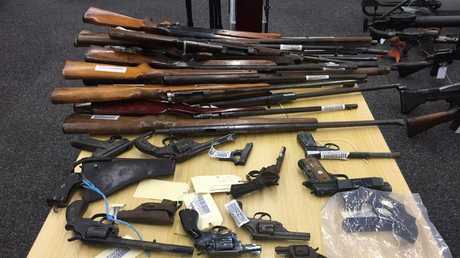 More than 80 per cent of the guns were from regional NSW, including across Sydney's outskirts. The top five regions where firearms were surrendered included Albury with 128 firearms, Tamworth with 93 firearms, Goulburn with 88 firearms, the Mid-North Coast with 79 firearms and the Illawarra with 70 firearms. 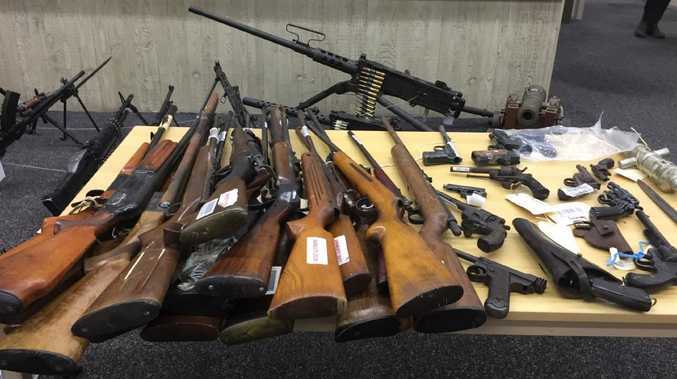 Of the 8300 weapons seized, there were 413 shotguns and 1373 rifles. Mr Loy said the weapons came from a variety of people. "You'd be surprised, it's sometimes people who have collected them or (had them) handed down," he said. "We do have people who have some connection to the firearms and we understand that we're proud about our ANZACs and our WWII returned servicemen, but those weapons can also cause harm." Mr Loy also said guns were a problem for people suffering mental health issues. "It's not just crime that impacts people, it's the opportunity for self harm as well," he said. "I think that's something we should be really mindful of." 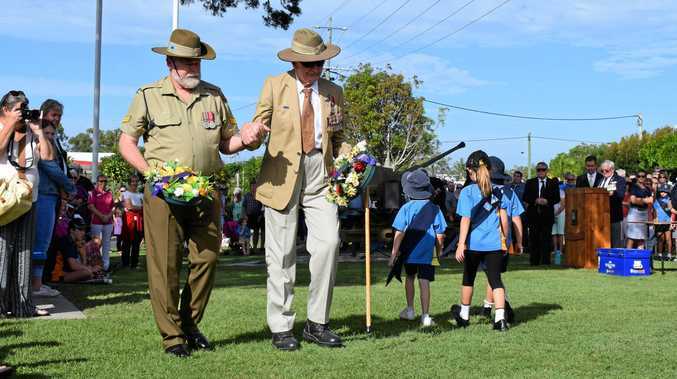 News Three generations of family gather join veterans, schools, public servant to commemorate Anzac's Day.